Apple has become the first US company to reach a market value of 1 trillion dollars ($1,000,000,000,000) . The hi-tech firm has beaten its rivals Microsoft, Google and Amazon to pass the magical mark. Apple's stock is now worth $207 per share, an all-time high. If it were a country, Apple would rank 17th in the world, on par with Indonesia. Before Apple, only China's oil giant PetroChina made it over the 1 trillion dollar mark back in 2007. It's value declined sharply shortly afterwards when oil prices collapsed. 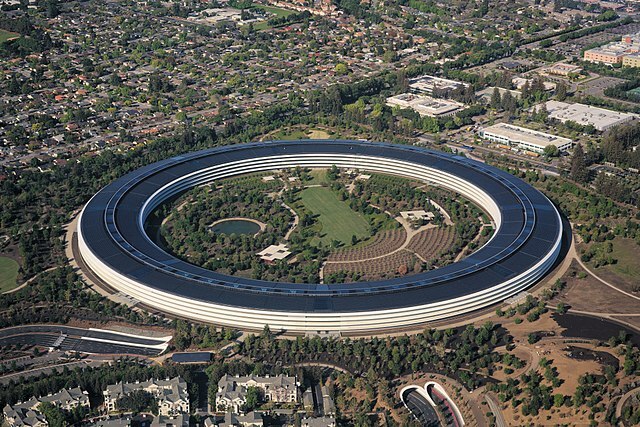 Apple was founded in 1976 in a California garage by Steve Jobs. In the first two decades the company was famous for producing computers. Later on Apple developed its revolutionary MP3 player, the iPod, which also saved the company from bankruptcy 20 years ago. The iPhone, the world's first smartphone, was introduced in 2007 and has become the company's flagship product. Up to now over 1.3 billion iPhones have been sold. AlthoughApple is currently selling fewer new models, sales and profits are rising. It is also making money by selling music and apps. In 2017, Apple has made profits in the range of $50 billion, selling over $220 billion worth of products . Apple may soon be joined in the 1 trillion dollar club by other hi-tech giants . Amazon and Microsoft are close to the mark and may be passing it soon.